Can Progenitor Mimic be a land generator? 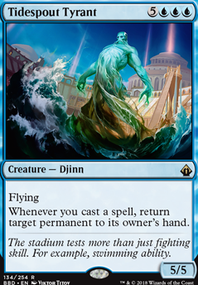 Progenitor mimic will become a land if copying an animated land, correct? Can I choose to copy Clone by Progenitor Mimic to get infinite cloning? 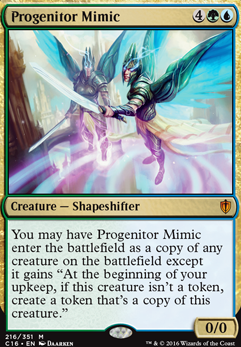 You may have Progenitor Mimic enter the battlefield as a copy of any creature on the battlefield except it gains "At the beginning of your upkeep, if this creature isn't a token, create a token that's a copy of this creature." What are your methods for "abusing" his proliferate ability. 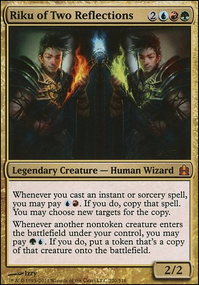 He has to die for the ability to trigger, which means you are letting him go to the graveyard instead of using the commander's replacement affect and putting him in the command zone. I think you should think of ways to abuse him while he's on the board instead of hoping he will die and getting a single trigger. 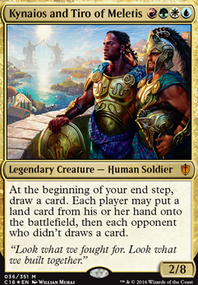 Progenitor Mimic , Rite of Replication , Followed Footsteps , Back from the Brink , and any clones are great with this commander to really abuse the effect. I had some time for deckbuilding and did small changes. I like Progenitor Mimic + Eternal Witness + Temporal Manipulation . Once e-wit is already in play, you might have pay 11 mana to pull that off in one turn. There's also Archaeomancer and Salvager of Secrets which are less efficient. Deadeye Navigator instead of the mimic is even more mana per turn. Thanks a lot ThallionDarkshine. 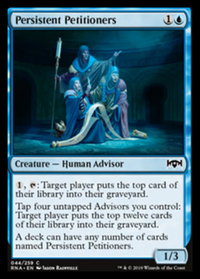 As far as focus goes, it's pretty simple: I just want to have my graveyard be an extension of my hand and be able to play "answers" to pesky permanents. I'd rather not spend over $20 on a single card. 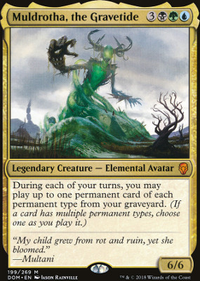 I chose to run 33 lands cuz I found myself "fetching" lands often and even more often with Muldrotha on the board. I don't cast her until my graveyard has a good amount of permanents in it anyway so I'm not worried about playing her asap. 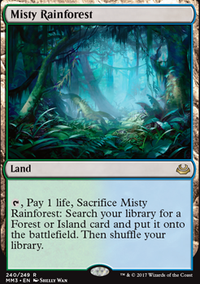 I do tend to cycle some lands for draw when the opportunity arises cuz I know I will play them later from the yard. 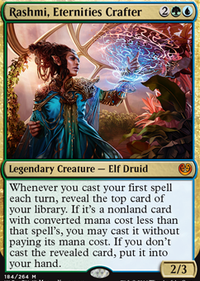 Circuitous Route , Burnished Hart , Sakura-Tribe Elder , and Shefet Monitor all help with a bit of ramp. I like the idea of Manglehorn replacing Acid Web Spider , and Noxious Dragon is merely a place holder as I found it in my bulk and threw it in. Both spider and dragon are mainly flying blockers with a lil bonus; but I do agree that they are mana spendy. I did splash a bit of sacrificing in cuz why not? Caustic Caterpillar and Thrashing Brontodon (removal), Burnished Hart and Sakura-Tribe Elder (land), Scribe of the Mindful to get back some value instant/sorcery, and some more options. 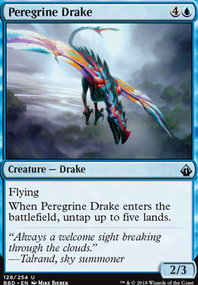 Plus you put Sylvok Lifestaff on a creature before you sac it for the proverbial icing. Sac outlets also include Bone Splinters , Ruthless Disposal , Victimize , Burnished Hart , Jarad, Golgari Lich Lord and Whisper, Blood Liturgist . And the sacrificing trigger from Liliana, Heretical Healer Flip! Then turn around and cast those sacrificees from the yard which would trigger Desecrated Tomb for more sac fodder, chumps, or aerial assualt. I have to mention a great pairing: Ravenous Chupacabra enchanted with Followed Footsteps . I was contemplating putting Progenitor Mimic in as well. This was a bit winded but this is the jist of the deck. It's not a fast starter but chugs along just fine when it picks up momentum. I'm aware there are a few kinks to work out and thus the reason I called for help. I appreciate any and all feedback, so again.. thank you! If you want to have infinite mana, you can go with Palinchron . Your numbers of lands seems a bit low. You can also put Parallel Lives if you like Doubling Season . You can go a lot of different ways with Riku like : tokens, spellslinger or storm for example. Enker on Wurm EDH ideas?